Earlier today, Leap Wireless — which offers cell service under the Cricket name —announced plans to sell the iPhone as a prepaid device on its network in the U.S.. It’s going to be offering the iPhone 4 for $399 and the iPhone 4S for $499. Despite early chatter about how the U.S. is late to the game when it comes to prepaid iPhones, this is still a very big deal for Apple. Remember, overseas users, while out-of-contract phones are normal to you, they are still very much a new deal in the U.S.. Also, when was the last time you saw an overseas carrier offering the iPhone 4S at $499? The deal is an interesting one that plays on several interesting factors, including Apple’s economies of scale, its interest in taking the iPhone market-wide and the immense pull that the iPhone exerts on other carriers to adopt it. So here’s the basic sketch: The iPhone 4 sells completely unlocked directly from Apple in the U.S. for $550 and the iPhone 4S sells for $650. Typically, Apple sells their devices to the carriers for somewhere around that amount, likely marked down slightly in a volume sale. These carriers then subsidize the cost of the device, forcing users to sign a 2-year contract with hefty early cancellation fees. This helps them get customers in the door for a $200 iPhone, but ensures that they’ll recoup their costs and then some over the course of the contract. Cricket, however, is offering the iPhones at a flat rate to its users, who will pay a $55/mo service fee for data, text and voice, which is a stellar price. They’re not locking in their customers with a contract, and yet they’re offering the device for a discounted rate when compared to the unlocked price that Apple offers. 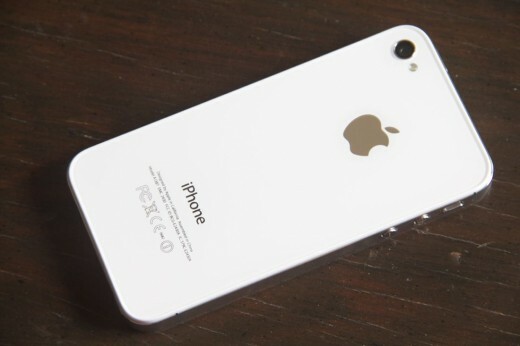 The iPhone 4S sells For $650 from Apple, and Cricket is offering it for $499. Where is the $150 off of the iPhone 4S coming from? Is it being eaten by Leap? Is Apple offering a discount on the device? Remember that Cricket is a no-contract month-to-month carrier. Customers buying iPhones from the company get a steep price cut with no guarantee Cricket will ever get its value back. So either Cricket is ‘subsidizing’ the iPhone themselves, and they’re betting people will stay around 3+ months so they get to break even (ignoring network usage costs as absorbable overhead) or Apple is offering them for much less to Cricket than they are to other carriers. My bet is that Apple is eating the lions share of the difference in cost. This conjecture is also backed up by Leap CEO Doug Hutcheson, who called the subsidy that the company will pay to Apple ‘modest‘. All Things D reports that Leap is heavily investing in this deal, signing a 3-year contract requiring it purchase some $900M worth of iPhones over three years. But this is chump change compared to Sprint, who committed to buying some $15.5B iPhones at around $630 per unit earlier this year. Cricket currently serves some 6.2M customers and has the potential to serve some 60 million on its network. Somewhere along the line, a bet has been made that a large percentage of that market will take Cricket up on its offer. Cricket is betting that its ‘modest’ outlay will get paid back over at least a few months of service, especially as it charges roughly 20-$25 more for iPhone service than for other devices on their network. This is what you can do when you leverage economies of scale to keep a 33% margin. It’s also why Apple keeps the same overall design for 2 years. The iPhone 4 and 4S phones made today are actually cheaper for Apple to make than the ones made six months or a year ago and they can leverage that to disrupt the prepaid market, which is normally flooded with crappy phones. Apple is now able test the waters in the prepaid market here in the U.S. before aggressively pricing overseas in markets like China and Africa. This represents a huge shift In the iPhone business model here in the U.S., if not yet worldwide. It’s worth noting that the device, while not tied into a 2-year contract, is still locked to Cricket’s network. Would Cricket be amenable to releasing those devices for use on other CDMA networks before users had stuck around long enough to cover the differential in cost? Probably not. The iPhone 4 and iPhone 4S are both offered in a CDMA version, which is the technology used by Cricket, as it licenses a large bit of its network from Sprint. China Telecom, as a point of reference, also uses CDMA hardware and it has a potential market of some 100M subscribers. This is all about breaking the prepaid barrier, and hitting a totally new pool of customers for Apple. For now, it’s all about CDMA phones, but imagine if the iPhone 3GS were offered at $150 off – they would be $225! That’s incredibly cheap for what is still one of the three most popular phones on AT&T’s entire network. Maybe the 3GS will hit that pre-paid price level before being discontinued, and maybe it won’t. By this time next year, the iPhone 4 will be almost 3 years old. It will be using parts and an industrial design that Apple has had 3 years to perfect and make cheaper to produce. If the rumors are right about the screen in the new iPhone just being taller, rather than a different aspect ratio, it will also be using panels cut from the same cloth as the ‘next iPhone’. It will be even cheaper for Apple to make than it already is and easier for it to offer aggressive pricing to pre-paid MVNOs and other carriers. More Tim Cook brilliance at work, and a major shift in Apple’s business. It’s going after the entire market, not just a chunk at the top. It wants to own the market iPod-style. The iPod is an example of a product that came onto a scene full of clunky and poorly designed products and captured an intense amount of mindshare right up front that it never really lost. It did this by starting high and releasing more and more accessible models. A pattern that Apple appears to be following with the iPhone.